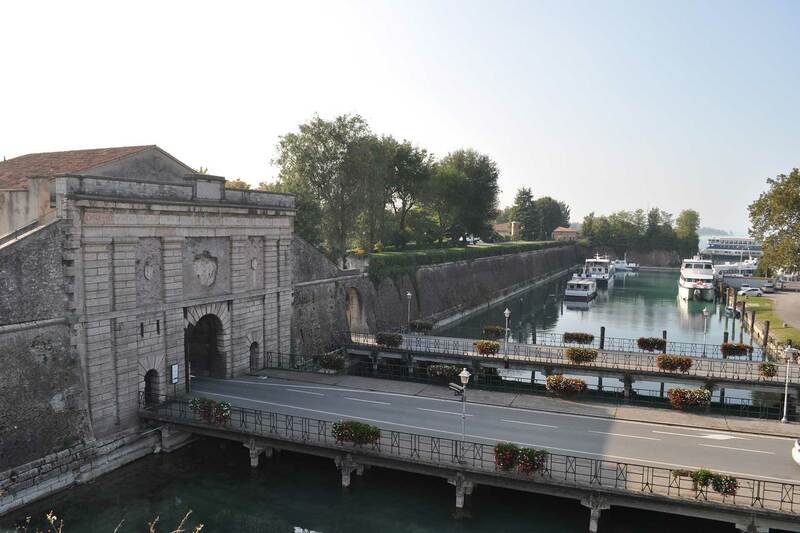 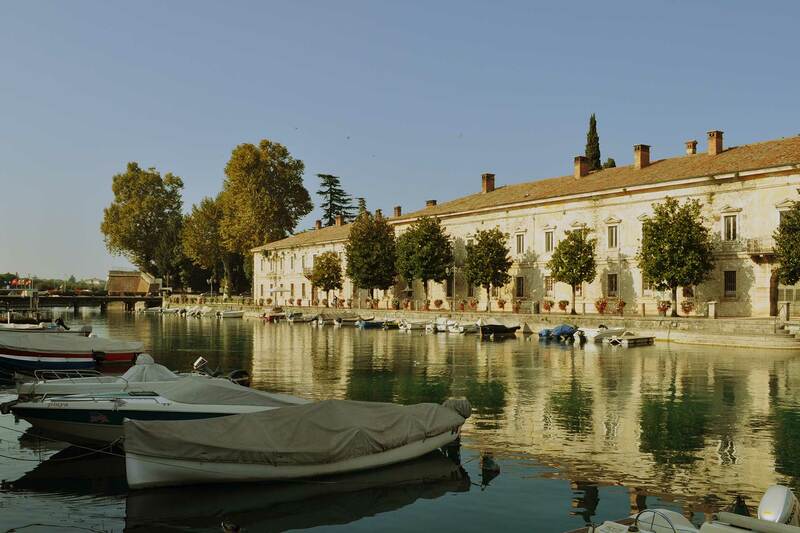 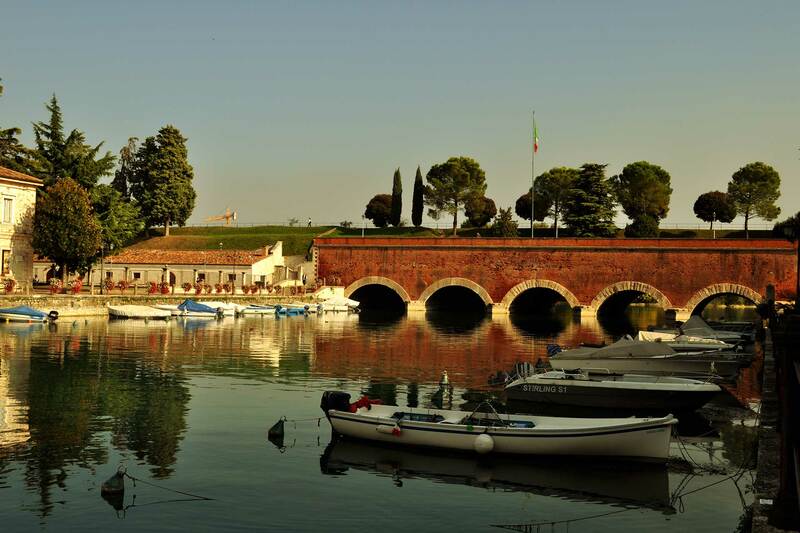 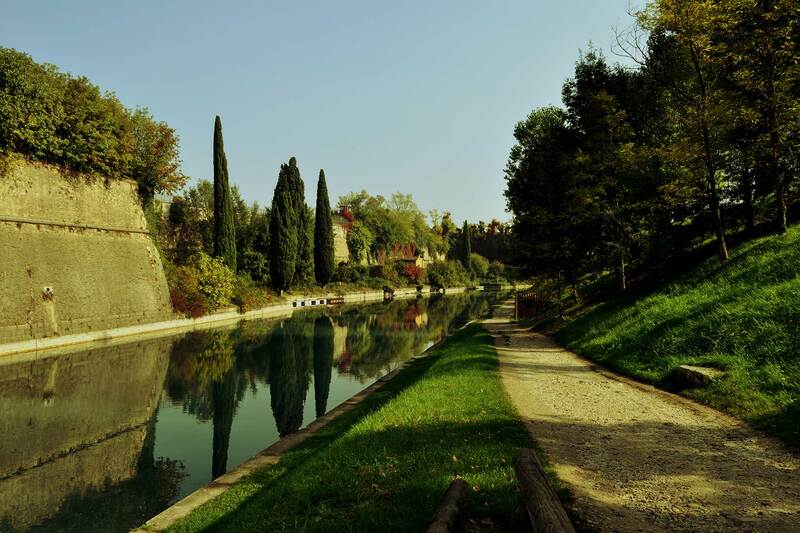 Fortified city of Peschiera del Garda is a hinge between the capital Venice and its most western territories located beyond the Mincio River. 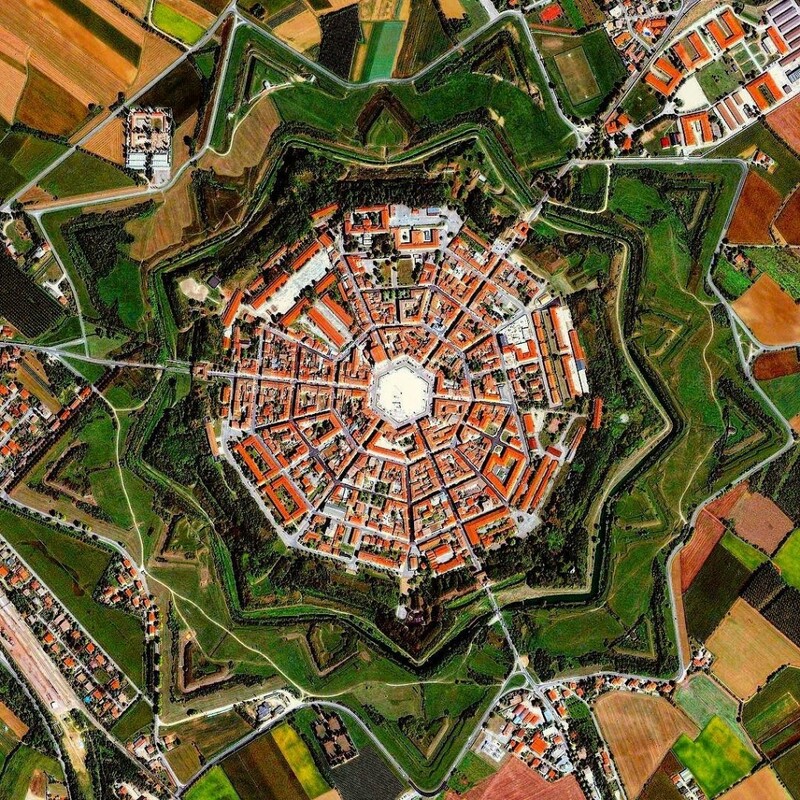 This linking function – essential for such a vast and branched-out State as the Terraferma – is ath every foundation of the radical defence renewal that greatly changed the appearance of the settlement, all the while confirming its centuries-old tradition as military outpost. 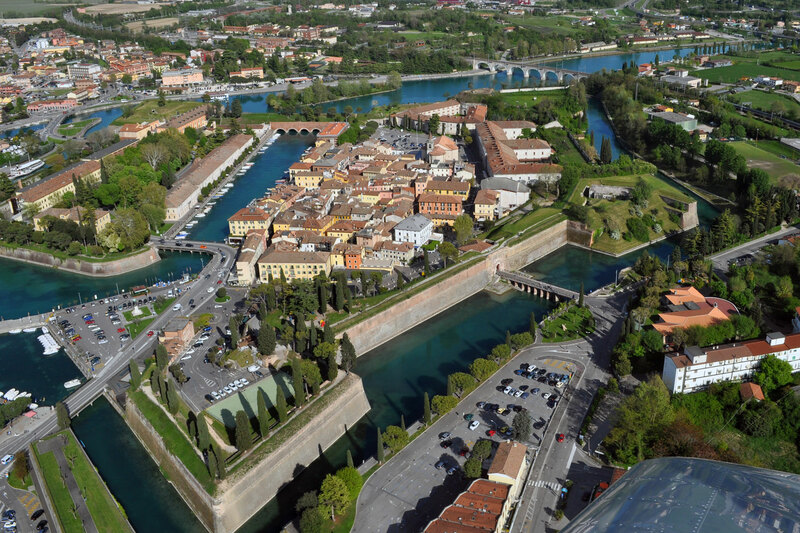 From a typological point of view, it is an exceptional example of fortified city, characterised by a pentagonal plan, the only one in the whole system, masterfully set in a lake-river context. 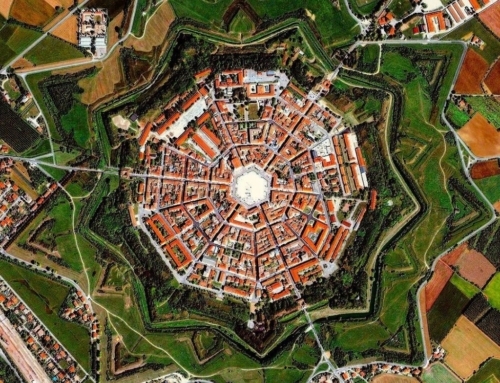 The area includes the entire inhabited centre inside the bastioned pentagon built by the Venetians. 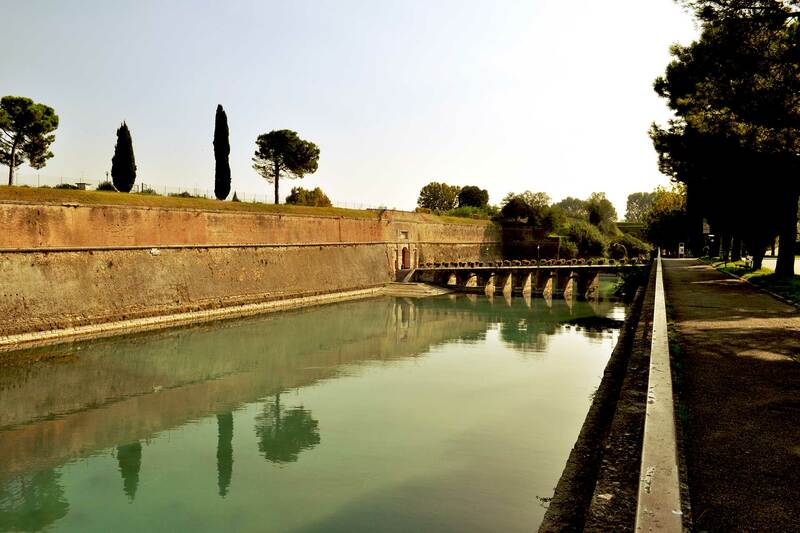 Moreover, the water elements -Canale di Mezzo, Mincio ramification- have been included as they strongly connote the site from the geo-morphological point of view, as well as their navigability as early as Venetian times. 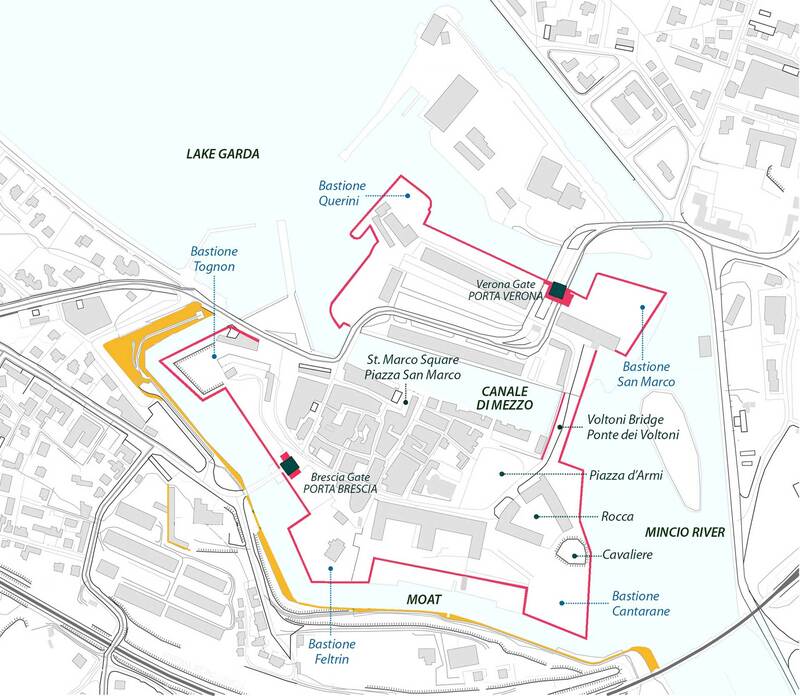 Plotted this way, the nominated property includes the entire urban fabric bordered by rampart walls which together with water works and military have strongly characterized the urban design. 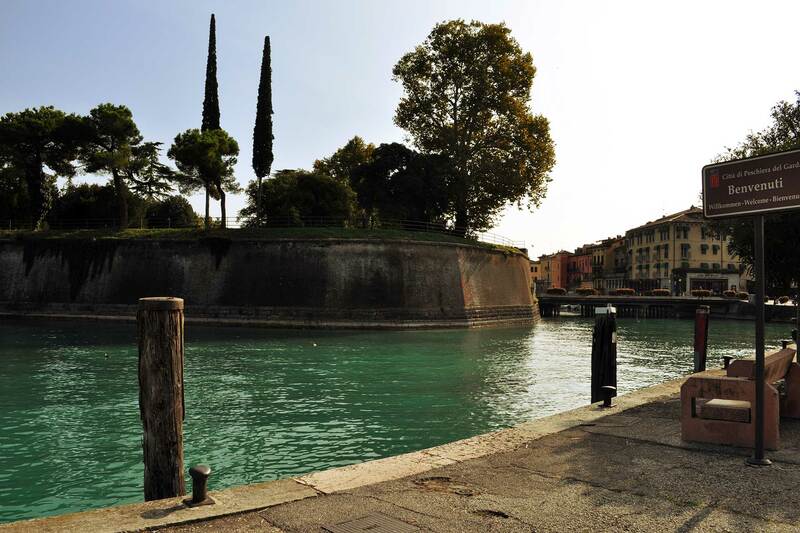 Consequently, the perimeter follows the path of the spaces closely related to the fortified walls, in particular: S-W it is set on the outer bank of the moat including the external works of defense (rampart); N-W it continues encompassing the area of the historic port system already portrayed in Venetian drawings; N-E it follows the outer shore of the moat tangent to the walls, and continues westward to include the aquatic derivation area of the River Mincio. 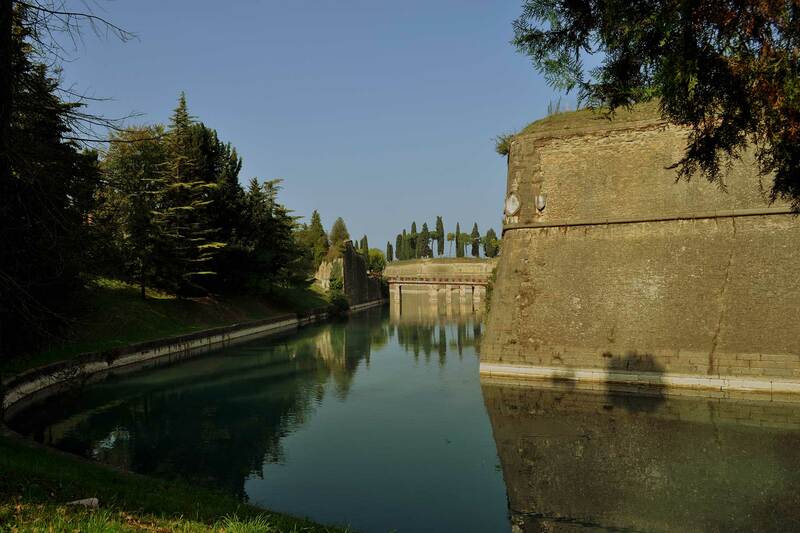 The entire area is protected by a variety of tools: the fascia on the walls and the relevant areas has been put under monumental protection. 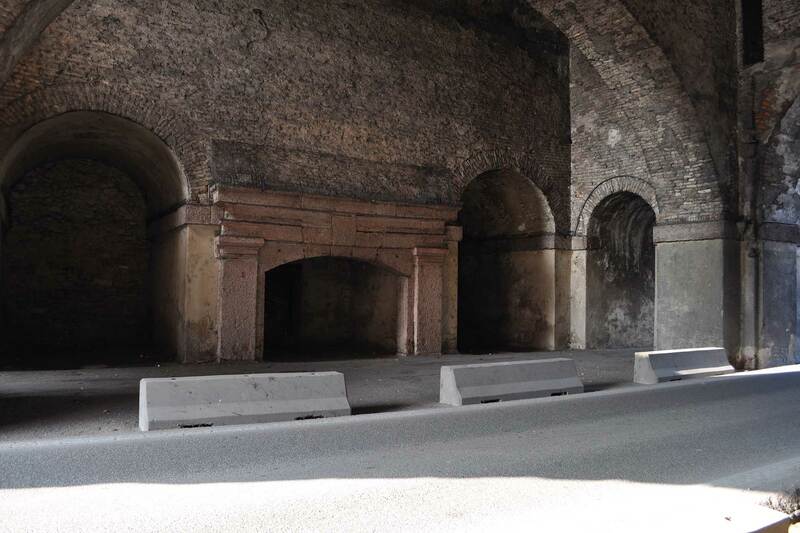 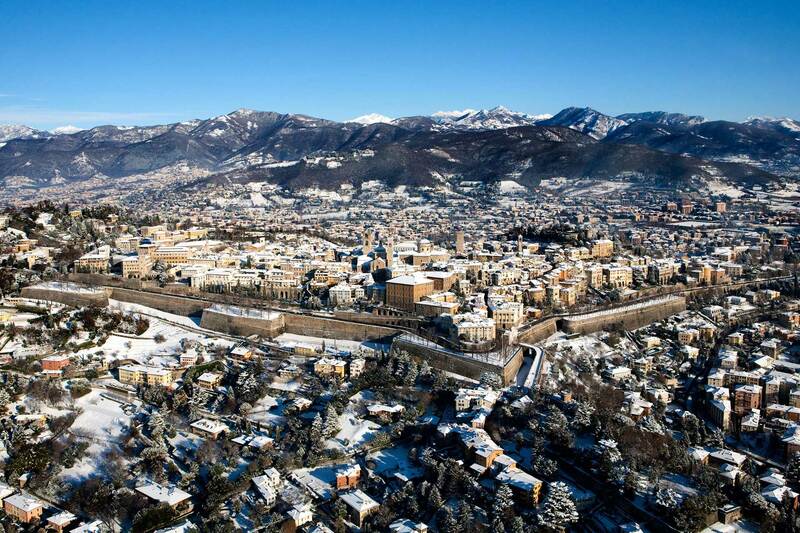 The internal urban fabric is classified “Zone A” of maximum protection by the General Town Plan. 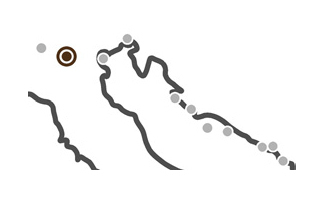 While the water elements are protected by direct landscape restriction. 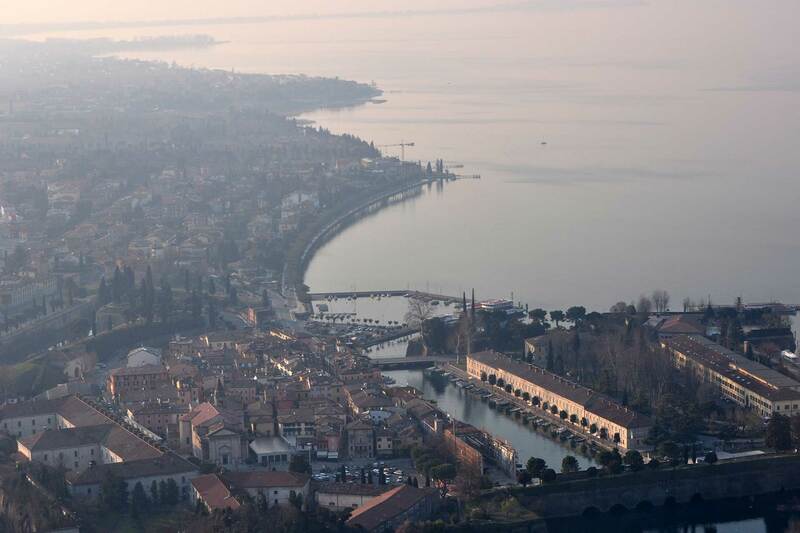 The reasons underpinning the choice of the buffer zone perimeter depend on the will to ensure a regime of physical and visual protection of the walled city from both the mainland and Lake Garda.